Transparent bags are on the rise this summer, and we see why this see-through accessory is having a major moment! With the weather already reaching epic melting levels, paired with the stifling humidity, we’re on board with almost anything that is light and airy. Whether it’s hard lucite or a softer perspex or even jelly, this clear clutch trend is perfect (and incredibly cool) for the current season. But what we love most about these super stylish bags are that it forces us to keep our purses well-organized, as everyone can see right through them. Plus, there are so many stylish and affordable options in practically every color and shape. Don’t believe us? 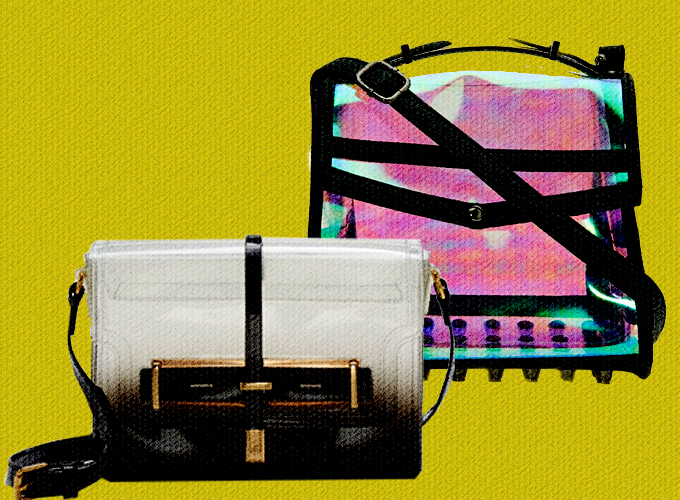 See for yourself with our 10 bag picks, all retailing for under $100.